The second of Link's N64 adventures gets the same 3DS overhaul as Ocarina of Time. The Majora's Mask remake for Nintendo 3DS was a given ever since Ocarina of Time 3D's launch almost four years ago. But as Nintendo hesitated with its announcement, we began replaying the Nintendo 64 original last fall. Convenient, as we can compare the two experiences with the N64 experience fresh in mind. Although it may sound shocking, it's not the more detailed graphics and the 3D effect that is the most welcome addition when playing the new version, but those elements that make gameplay more comfortable and natural. The most noticeable is the smoothness of the visuals and the analog/motion controls. If you go back to the old N64 game you will know what we mean within very quickly. The early 3D games were groundbreaking back in the day, but a lot of progress has been made over the years. Majora, like Ocarina, now handles way more accurately and any hiccups are a thing of the past. Another thing is that we can't imagine playing these two classics without the support of the second touchscreen from here on. The mapping of items to different buttons was great at the time, but in this game there are so many items and masks, it is great to have as many options available to the thumb. We like having the bow on X and hook or bombs on Y. The extra touch screen option means we can now carry one or two masks at the touch buttons, not to mention tinker with the first-person camera / pictograph box or the ocarina. And the map; blessed be the map! It greatly facilitates navigation to glance down to take a look, or to zoom in on the current room by touching the screen. The dungeons have benefited a lot with this system; so much, we would say they are more fun and interesting now. We started on the usefulness of the new features instead of the visual delights, but we should add that the revitalised palette, new textures and, above all, modern lighting, also do their part to better distinguish spaces. Similarly, the 3D effect greatly enhances the immersion, which is especially evident in games like this, because in the 3DS lineup there are just a few adventures with large open environments. Therefore, new features, as it should be, are not limited to the aesthetic aspects, but have actually made Majora's Mask a better game, or at least a title that plays like its contemporaries. But there's another side to the coin, as there's a worry that the conversion has went too far in making the experience more accessible then what it had once been. We were afraid they'd add too many clues and hand-holding given the confusing nature of the adventure, and that the challenge would suffer as a result. Well, we are relieved to tell you this was not the case. We notice a little hand-holding in the early stages with some additional indicators, but not to the point where it's annoying, and soon enough they let you play the same game we all love and remember, with its twisted approach, its mysteries and its challenging difficulty level. And as the opening hours of Majora's Mask were a bit of a mess, some additional guidance is not a bad thing. Teleporting (Song of Soaring), for example, is offered a little earlier now, and perhaps the fairy Tatl utters some extra 'Hey, listen!' hints, but in the end the challenge is still there and the experience continues to convey a sense of adventure as you improvise actions, discover hidden, strange or unclear things and come up with solutions to riddles or puzzles. We also don't mind that the Bombers' Notebook is much more present and tidy, because we honestly kind of ignored it in the original game and it's an ideal way to keep track of all side quests, characters and, most importantly, an hourly schedule of events in the three days that the game covers. Less hostile with increased accessibility, you'll get your head round the concept of Majora's Mask, which differs from the timeless freedom of exploring Hyrule in Ocarina of Time, quickly. You're locked in to looping the same three days over and over, slowly uncovering multiple events and stories unfolding in parallel over the time frame as you explore different parts of the world. As you're discovering them, you're also progressing the plot by completing dungeons, getting items/masks/powers, learning magic melodies and unlocking the remaining parts of the map. Not too dissimilar to the structure of the series of the time, but here you're aware of the creeping of the clock, and the need to travel back in time to the dawn of the first day. Although we can still praise the original idea, and be surprised by some concepts and recognise that some of the plots can only be told by this rather brilliant formula (yes, you can still go back to win the lottery), it is also true that many timetable-dependent tasks have not aged as well, and can be a chore today. There are tedious combinations or events that require boring treks, such as events that are triggered by defeating a boss (the gift from the Deku butler, the arrival of spring) or tasks you decide to start with little remaining time (the Zora eggs, the stray fairies). We understand that this adds even more difficulty and requires planning your game time strategically, but there are cases that could have been streamlined because they simply feel outdated. These few drawbacks do not mean that the game design is obsolete as a whole by any means. It is something we have to commend. Fifteen years old and created in a single year, Majora's Mask is still a masterpiece of game design. The different areas and characters encourage discovery. The many masks push you to collecting and complete the game fully, while the distinct, peculiar and bizarre features of this title that give rise to various abilities and unique situations (you can be a Goron!). The activities and mini-games are great fun and addictive. Dungeons offer trademark Zelda design, and even dare dabble with things that were not seen in Ocarina; Temple of the Great Bay, for example, is a great aquatic odyssey that you will come to love or hate, like a compact version of the legendary Water Temple, but with Zora powers and a ticking clock. 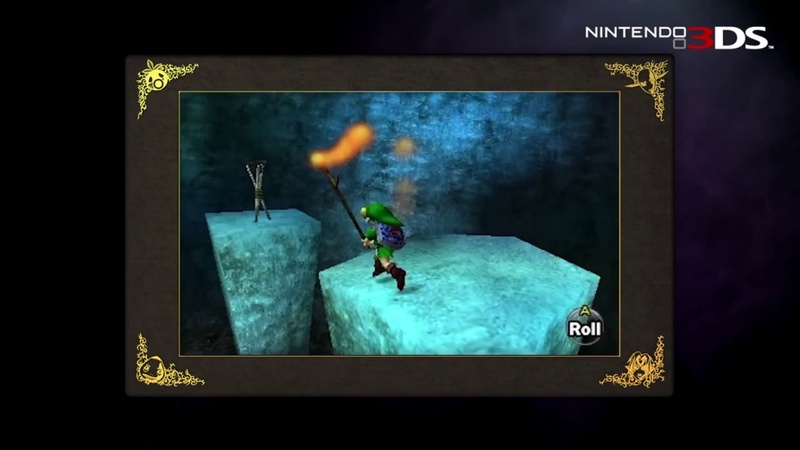 In these dungeons, the concept of "find the special item - use it in the second part of the temple" concept proves too basic and old school, or naturally doesn't reach the levels of Twilight Princess and Skyward Sword. Boss battles may also not match the experience of the dungeons themselves. And since we mentioned the stray fairies, it's a great idea to explore every corner of each temple and this is something that they should recycle going forward. Instead of the epic adventures around the meadows and castles of Hyrule, Majora's Mask is like one of those strange dreams that you have from time to time and where, for some reason, you want to return. Covered with so many masks, Link loses prominence and instead Skull Kid, the weirdos and Majora are the focal points. It's definitely distinct from the core canon entries, but that doesn't mean it lacks the same impact. But is it better than Ocarina of Time? In our humble opinion, and although we know some prefer this one, we still consider Ocarina superior because of its size, pacing and sense of progression. That said, we admit that Majora's Mask is more likely to leave a special mark on every player who completes it. It's like a B-side of a popular single; less ostentatious, more expressive. But we are talking about masterpieces of the genre. As an adventure game, Majora's Mask 3D is an absolute must-have in the 3DS catalog, well above the average offering despite the age of the original. As a remake, it is one of the best restorations and modernisations we remember, although we would have liked more extras and bonuses as fan service to those who have already completed it. But at this point, no matter if you want to replay or experience for the first time, you can not miss this return to Termina - you will enjoy every one of those 72 hours that are repeated over and over again. Much better world navigation, quest tracking and controls. Smooth, comfortable and fast-loading. Sharper, more beautiful and even creepier. Unique stories and scenarios in the series. You can be a Goron! It deserves more extra stuff. A few glitches (just a couple, but still unlike the overall quality). Some tasks depending on timing can be a chore. Bosses aren't at the same level of the rest of designs.